La Scivola Procida, Hotel Italy. Limited Time Offer! La Scivola. 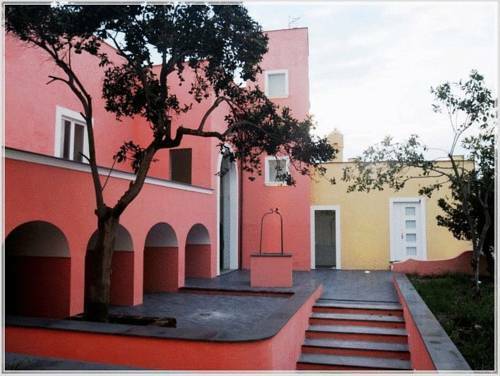 "La Scivola" is an ideal base for discovering Procida. This accommodation consists of a total of 11 rooms. The air conditioning keeps the heat outside, always ensuring a comfortable bedroom temperature. The garden is excellent for a little walk. At this accommodation, you can participate in sailing. You can also rent a bicycle to take a bike tour. After a long day, you can enjoy a drink at the lounge bar. Guests can go online free of charge.